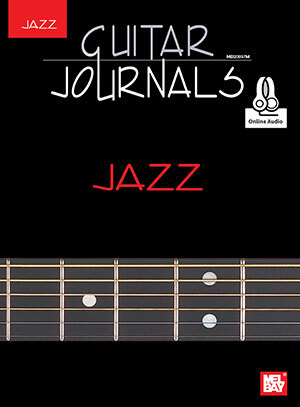 Mel Bay's series, Guitar Journals, is the ultimate reference guide of studies and solos in several different genres. This incredible volume for jazz includes a wonderful collection of arrangements by jazz greats Joe Diorio, Johnny Smith, Gene Bertoncini, Bucky Pizzarelli and many more. Covering a wide range of areas including Latin, comping, rhythm changes, blues, etc. This is a must-have and is perfect for everyday use for the student to the professional musician. Includes access to online audio of examples. • Covers Latin, comping, rhythm changes, blues, etc. • Includes access to online audio.